Devices of the same style that most often mate with another device of the same style but opposite gender in order to transfer signals or power from one area of a device to another. Rectangular Connectors Interconnect devices that have a specific shape and design. The items in this category will have a rectangular look to the mating end of the device. Terminal Blocks Interconnect devices that allow for easy connection and disconnection of wires. D-Sub, D-Shaped Connectors Interconnect devices that have a specific shape and design. The items in this category will have a "D" look to the mating end of the device. Terminals Interconnect devices that are used as points where current enters or exits from one conductor to another. Circular Connectors Interconnect devices that have a specific shape and design. The items in this category will have a circle shape on the mating end of the device. Coaxial, RF Connectors Devices designed to connect high frequency circuits together. Modular Connectors Interconnect devices that have a specific shape and design. The items in this category were originally designed to be used in telecom device. Barrel Interconnect devices that have a specific shape and design. The items in this category will either have a cylindrical shape or are able to mate with a device with a cylindrical shape. These types of devices are most often used with audio or direct current power equipment. USB, IEEE-1394, HDMI, DVI Devices most often used to provide a connection port between a computer and some other device. Banana and Tip Interconnect devices that have a specific shape and design. The male gendered items in this category will either have a cylindrical shape composed of spring like metal strips or a smaller version of the device without the spring like strips. Sockets Devices that are designed to hold semiconductor components. Backplane Connectors Devices that usually connect two boards together, one of the boards containing multiple connectors aligned parallel to each other. This board is usually mounted in a rack or case. Power Entry Interconnect devices used in equipment to receive or supply power. Flat Flexible (FFC, FPC) Connectors Interconnect devices that have been designed to work with a specific cable type. The items in this category will work with cables composed of flattened conductors placed parallel to each other and molded over. Card Edge Connectors Devices designed to mate with a board that has terminal pads positioned along one edge. Pluggable Connectors A collection of interconnect device styles which are often used for networking standards or computer bus interfacing. Memory, PC Card Connectors Interconnect devices that accept boards or cards that have some way of retaining data. Between Series Adapters Devices used to convert from one connector style to another. Each end of these devices will contain a different style of connector. Blade Type Power Interconnect devices that have been designed to work with larger power requirements. The male gendered items in this category will have contacts that have a blade style. Shunts, Jumpers Devices designed to connect two pin contacts that are separated by a specific distance. Heavy Duty Connectors Rectangular connectors that are known for their large size and for having large current and voltage ratings. Fiber Optics Connectors Interconnect devices that have been designed to work with a specific cable type. The items in this category will work with cables composed of a glass or plastic thread within a jacketed material. Keystone Interconnect devices that have a specific shape and design. The items in this category are designed to be locked into a wall plate. Photovoltaic (Solar Panel) Connectors Connectors designed specifically to be used with solar panels. Solid State Lighting Connectors Devices designed to be used by used by specific solid state lighting components. LGH Connectors These devices are designed for use with high voltages (greater than 4000 volts). Connector Kits Groupings of interconnect devices that have the same connector types. Contacts Male or female terminals that are used in connectors. Terminal Junction Systems Terminal Junction Systems (TJS) provide a compact family of modules and splices for interconnecting wires. 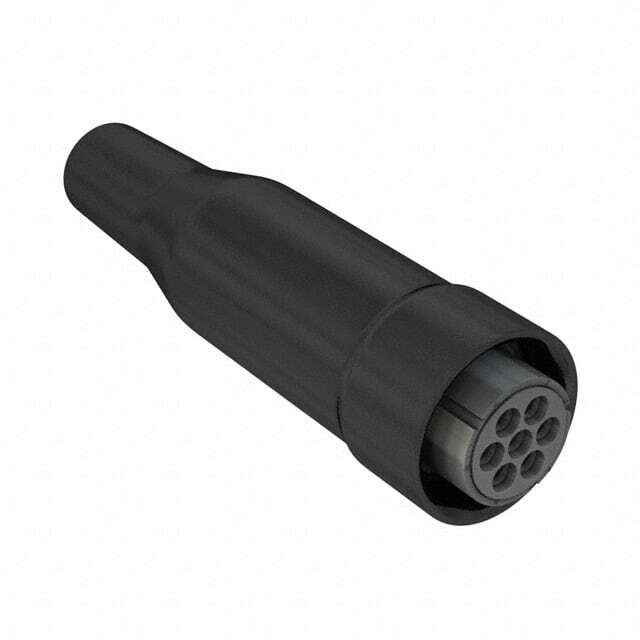 TJS eliminates many shortcomings of the conventional lug and threaded termination. Terminal Strips, Turret Boards Boards populated with either terminals or turrets. They allow for easy connection and prototyping.